Here’s a pretty one! 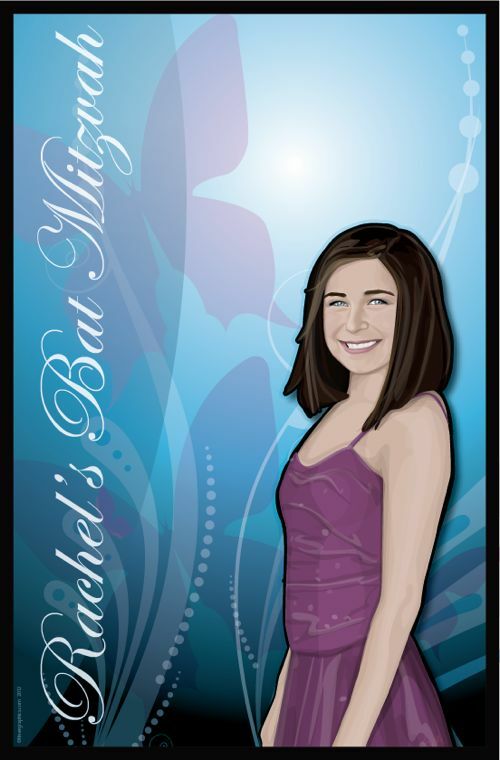 Rachel looks absolutely gorgeous for her Bat Mitzvah! 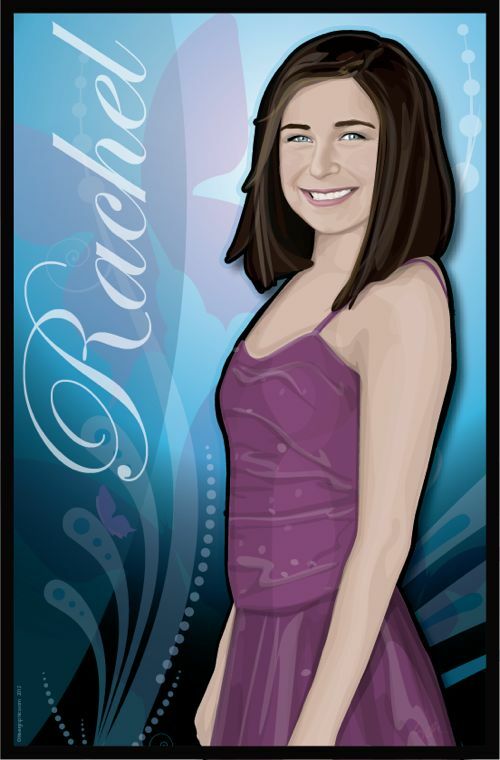 Rachel is wearing a fushia dress with a theme of butterflies. I had fun drawing this. 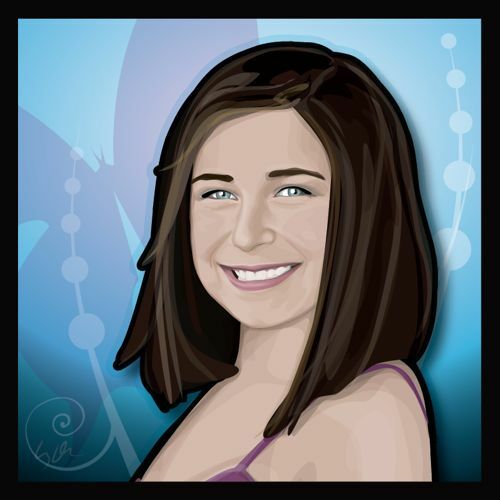 Gorgeous hair, beautiful smile Rachel is ready for her big day!